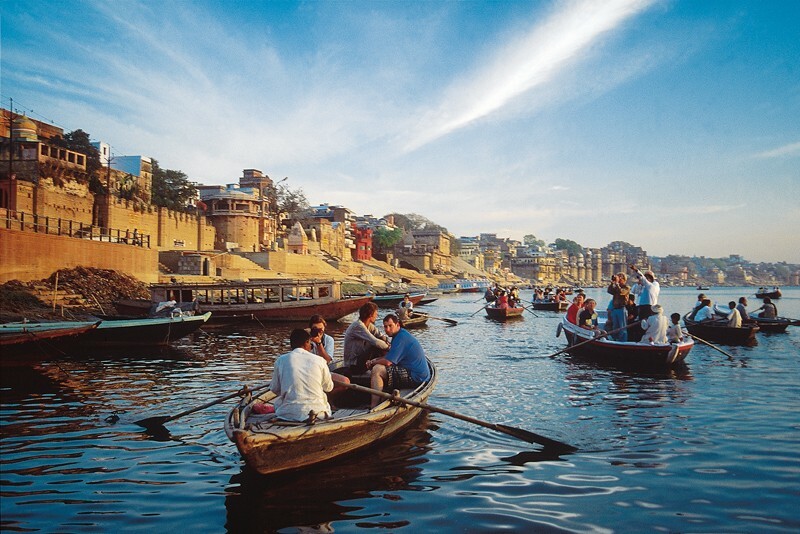 Varanasi is the oldest inhabited place in the world that is still inhabited by humans. Varanasi is not just Ganges. There are a lot of important things to do and places to visit. Here are the Top 7 things that you should enjoy in Varanasi Tour. Ganges is a holy river in India. There are a lot of mythological stories that explains the existence of this rice. Have a boat ride in this river. Take a boat from the upriver and enjoy the ambience. If you find any dead body floating on the river, do not fret. According to Hindu, if they drown a body in this river, the soul would reach heaven. Though, it is very restricted today and the river is under control of local authorities. There are a lot of ghats and each ghat is reserved for one single purpose. Assi Ghat is for bathing; Manikarnika Ghat is for cremation and so on. Tulsi Ghat is reserved for curing leprosy. You might not believe that water can cure leprosy but it is more interesting to watch many people bathing in this river with faith. Take a walk from the Ganges to Malviya Bridge. 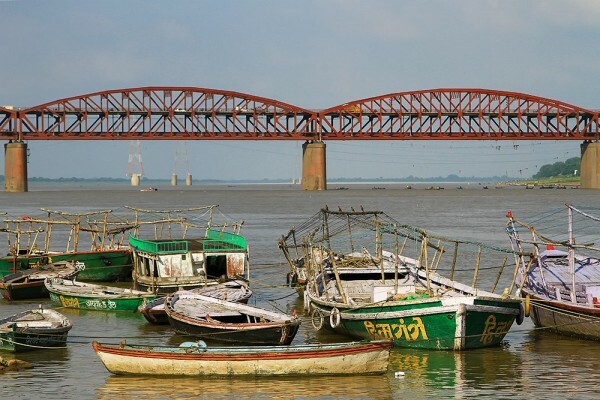 It is a bridge that holds both a railway track and also a road. People consider this bridge as the border of the holy land of Varanasi. Visit the bridge during moon light and enjoy the skyline of Varanasi. Do not miss watching the place from a roof terrace during early morning when the sun has not almost out. You can find the city is the mist of fog and yet very lively. The river view from roof top is something that you should not miss. Since it is a holy place, street shops become inevitable. 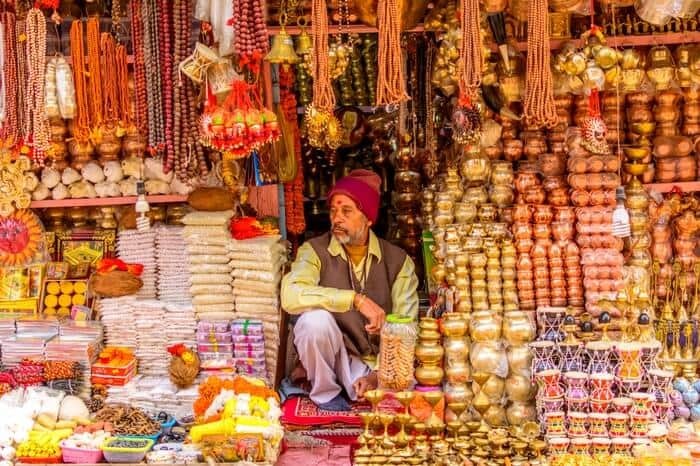 You can find almost hundred shops selling exotic and unique items. If you do not know to bargain, it is better to restrict yourself to window shopping. Do not worry about losing direction, no matter which street your roam; you would end up in the main road. If you have a small child with you, I would recommend you not to visit this place during festival. 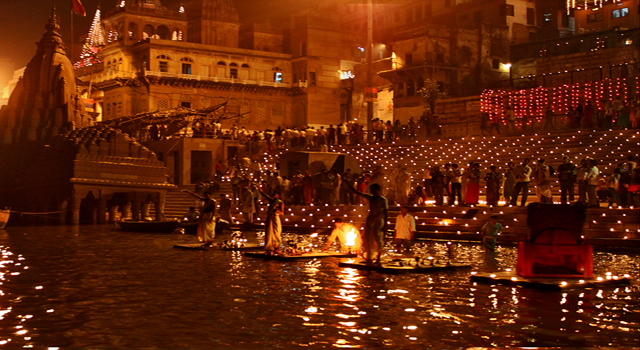 You can find almost a part of India in Varanasi during festivals. The streets would be jam-packed and even police force would be lined up to control the crowd. If you still want to enjoy some festival time gala, choose a roof top terrace and watch the hustle down. This is a must watch for those who want to experience the real India. 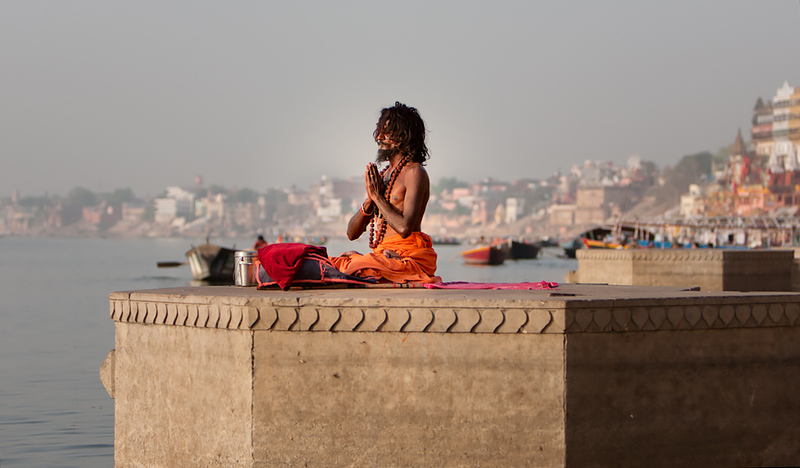 You might find a lot of yogis covered in ash (a holy powder) along Ganges. It is better to avoid trying to make any conversation with them. But, make sure you locate a few during your trip. Varanasi is not just temples and dead bodies. There are a lot more to it for every tourist. 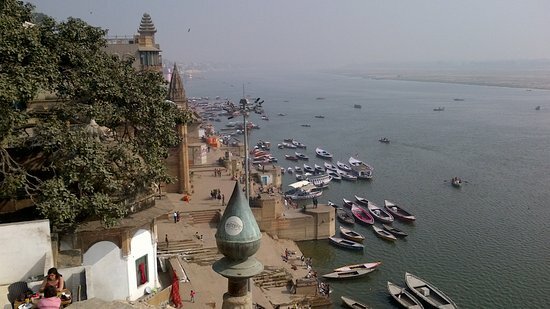 Few reasons to Visit Varanasi ? Best eating point in Varanasi ? It is a good idea to share views on a site about people’s travel experience and holiday ideas.